Stay tuned for upcoming events for Pakistan Spring Festival in near future. Let's celebrate the arrival of spring with festivities and fun! 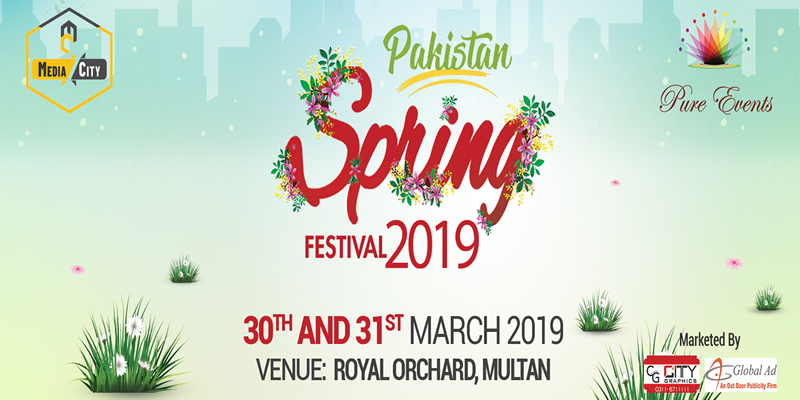 Join us on the 29th, 30th and 31st March 2019 at Royal Orchard Multan. Event Management Company with vast field of expertise like Artist Management, BTL and Event Planning. Terms & Conditions : All Right are Reserved by the Organiser. Best Viewed at 1024 x 768 pixels and above. This Page loaded in 0.02215 seconds on Tue, Apr 23, 2019 (21:32).